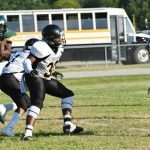 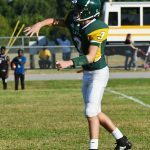 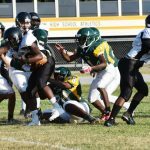 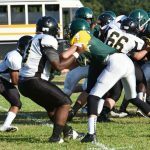 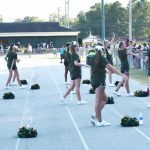 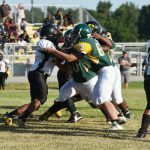 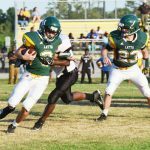 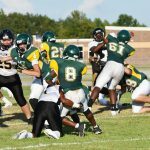 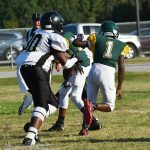 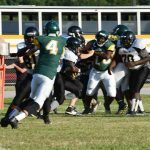 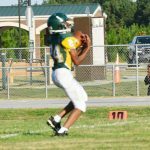 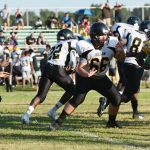 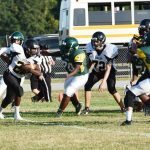 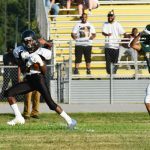 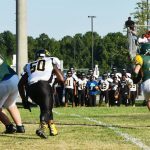 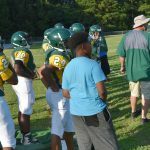 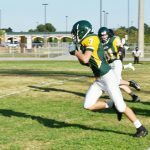 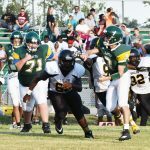 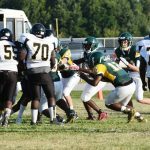 The Dillon Junior Varsity Football team handed the Latta Junior Varsity Football team a 38-0 loss in Latta on Thursday, August 30. 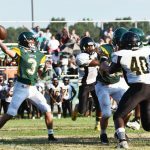 After Latta was forced to punt on the first series of plays, the Dillon’s quarterback (#1) carried the football in for 6 points in only the third offensive play for the Junior Wildcats to set the stage for the game. 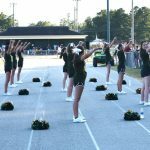 Dillon’s #1 converted the 2-point play to give Dillon an 8-0 lead with 6:09 remaining in the first quarter. 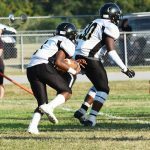 After Dillon stopped #8 for Latta, #3 for Latta carried for a big gain. 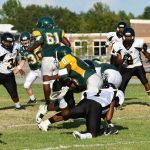 However, the Latta team could not get the offense any momentum and were forced to punt; Dillon blocked the punt. 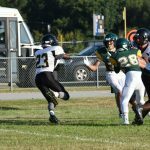 #22 for Dillon picked up a big gain. 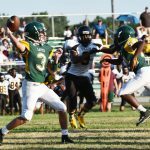 #23 for Dillon carried followed by another short gain by #22 before Dillon’s quarterback (#1) carried the football in for 6 points to give Dillon a 13-0 lead with 20.6 seconds remaining in the first quarter. 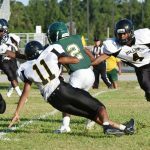 Dillon’s #1 converted the 2-point play to give Dillon a 16-0 lead. 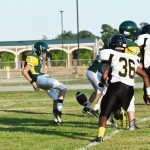 Latta was once again forced to punt. 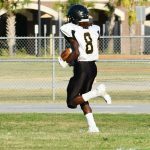 Dillon’s quarterback (#2) threw a perfect pass to #8 in stride who carried the football in for 6 points to give Dillon a 22-0 lead with 4:59 remaining in the first half. 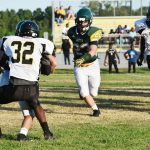 The PAT attempt was blocked by Latta. 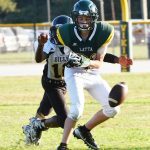 Latta quickly connected a pass from #3 to #81 for a first down. 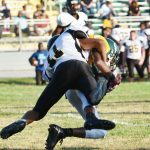 Time expired in the first half. 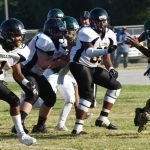 The Latta Vikings continued to fight in the second half. 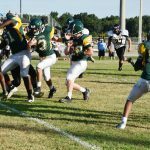 However, Dillon managed to score 16 points in the second half. 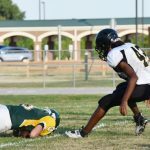 The Dillon JV Wildcats defeated the Latta JV Vikings. 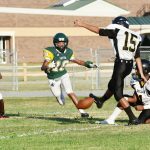 Here are some photos from the game by Johnnie Daniels/The Dillon Herald. 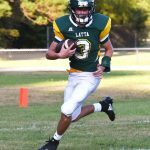 Latta’s #8 Daz Blue is stopped.